My youngest girl has the love for plants just like me. She has been exposed to gardening since she was born. I really loved this photo of her enjoying my succulent garden. Absolutely a beautiful memory to treasure for a long time. 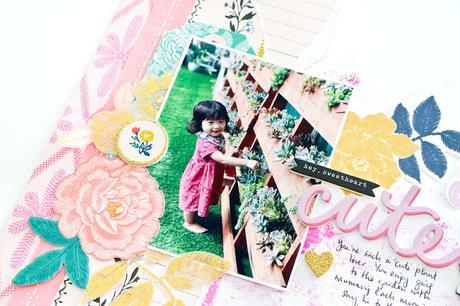 And what better way to keepsake it on a scrapbook layout especially with Maggie's Willow Lane collection. 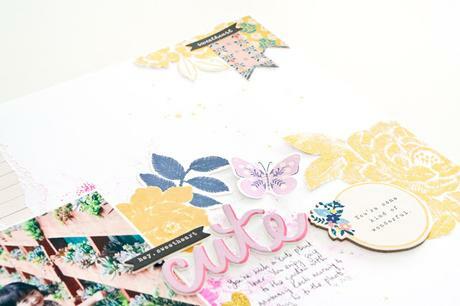 Just so many beautiful floral patterns to play with, perfect with my theme. 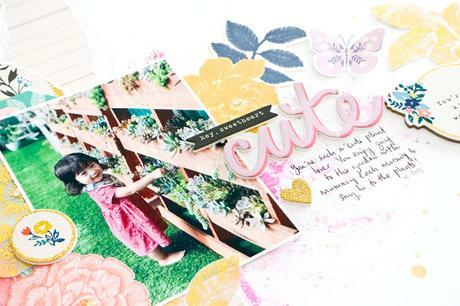 To begin, I always choose my photo first and go through all the papers and embellishments that would suit my photo. Often times, I will draw inspiration from the colors in the photo especially when there are alot of colors going on. By doing so, I made sure the colors and patterns are cohesive & so that they won't look too busy. Once that is done, I tore some patterned papers for the arty look. Before adhering, I used pink paint and an old plastic card to apply on the while cardstock. Just to give a little character to the layout. Added some gold splatters too. Once dried, I adhered the patterned papers and photo. Next, I added some stickers all around the layout as I built my layers. Various stickers sure give you the different depth and textures too. I always love to have dimension on my projects! Adding fussy cutting of gold vellum & paper doilies sure gave my layout the classy look I was going for. 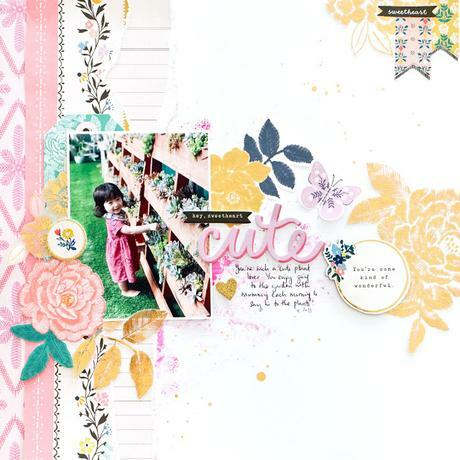 Completed with my layout with little journaling. I really loved how this turned out to be! And always, I love creating with Maggie's collections. They do match very well.